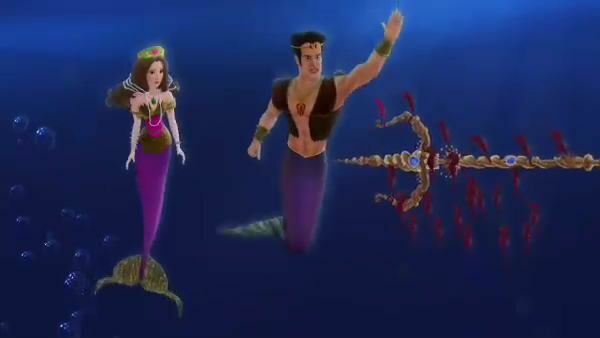 SVEN THE SEAHORSE: Sofia, what mermaid is gonna trust a human? 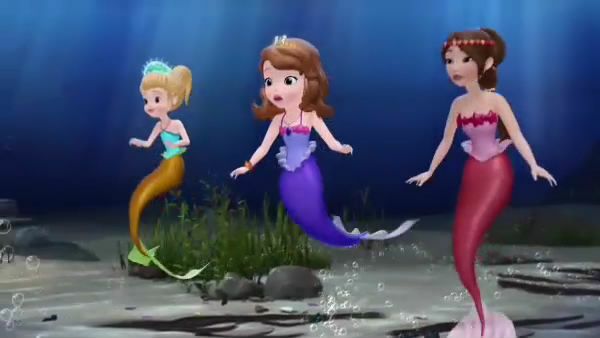 PRINCESS SOFIA: A mermaid whose little sister is in trouble. PRINCESS CORA: You! 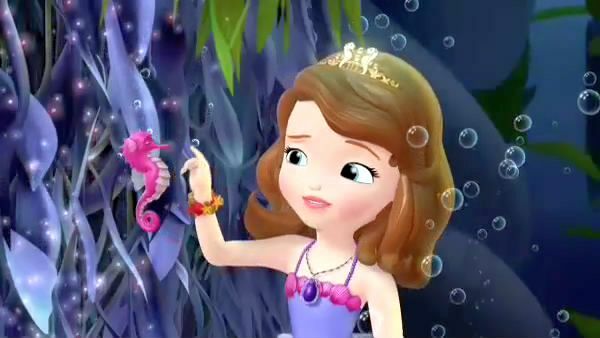 SVEN THE SEAHORSE: Just cool your fins, Cora. PRINCESS CORA: Where's my sister? SVEN THE SEAHORSE: Sofia is telling the truth. I saw the sea monster with my own eyes. Both of them. PRINCESS CORA: You did? PRINCESS SOFIA: He's after Oona's comb, and he knows magic. You're Oona's big sister, and the only way to save her is for us to work together. 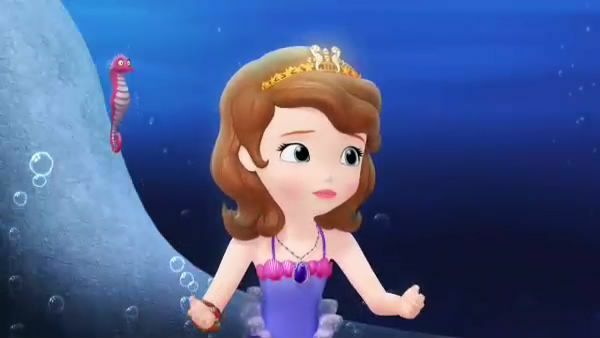 PRINCESS CORA: You said the monster wants Oona's comb? PRINCESS SOFIA: That's what she told me. 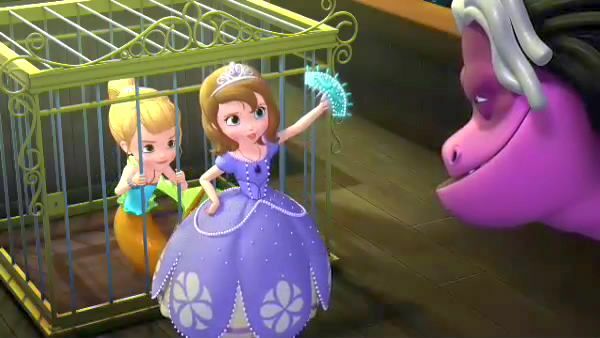 PRINCESS CORA: Then we have to free her before he gets it. It has the power to control the ocean. PRINCESS SOFIA: It does? PRINCESS CORA: Mom gave the comb to Oona so no one would abuse its powers. But she doesn't even know what it can do. She should have given it to me. I know how to use it. And then Oona wouldn't be in danger. PRINCESS SOFIA: So will you help me? PRINCESS CORA: Anything for Oona. PRINCESS SOFIA: But what about the storm? We have to stop it before it gets too big and sinks our palace. SVEN THE SEAHORSE: Don't worry. I can stop Queen Emmaline. 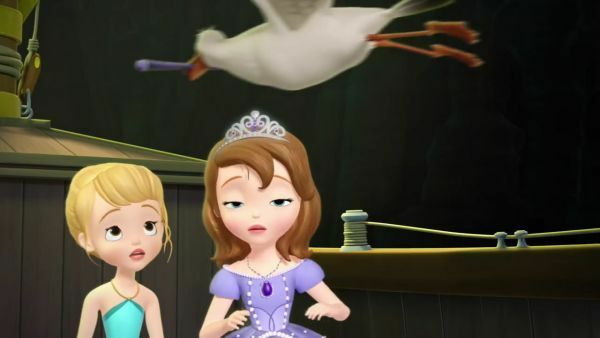 PRINCESS CORA: You and what army, Sven? SVEN THE SEAHORSE: This one, Cora. Actually, this is just the immediate family. We'll pick up the cousins on the way. Operation mermaid rescue has begun. PLANK: The storm isn't big enough yet. Bring forth a typhoon. QUEEN EMMALINE: So be it. PLANK: What's wrong? QUEEN EMMALINE: My trident! SVEN THE SEAHORSE: We got it! Let's go, fellas! Magic wand secured. Magic wand unsecured. 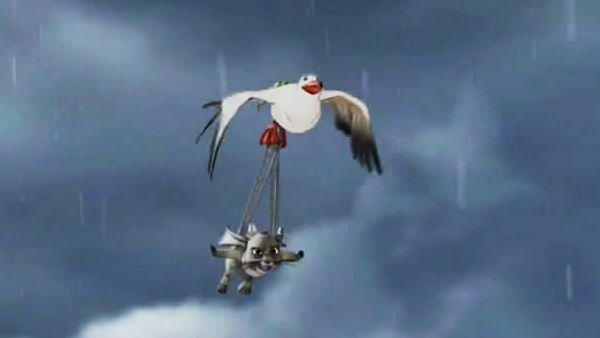 CEDRIC: Your animal friends can't help you this time. 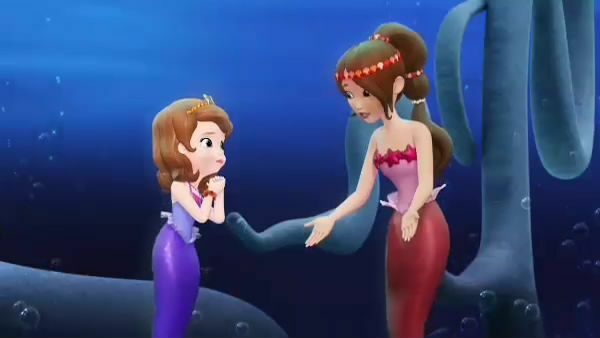 PRINCESS SOFIA: But my mermaid friend can! Cora! MERMAID PRINCESS OONA: Cora! CEDRIC: Cora! PRINCESS CORA: Waters rise at my command! CEDRIC: Aahhhh! MERMAID PRINCESS OONA: Thanks for rescuing me, Sofia. PRINCESS SOFIA: It wasn't just me. PRINCESS CORA: Oona! MERMAID PRINCESS OONA: Cora! You saved me! I guess having a big sister looking out for me isn't such a bad thing after all. PRINCESS CORA: Here. This belongs to you. 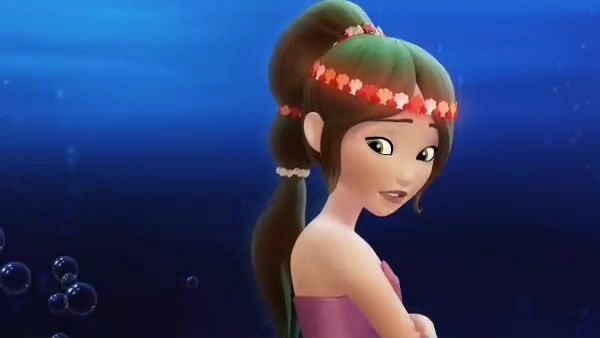 MERMAID PRINCESS OONA: Thanks. Maybe you can show me how to use it some time. PRINCESS CORA: Sure. If mom lets me. MERMAID PRINCESS OONA: Right. PRINCESS SOFIA: Come on! We have to find your mom! 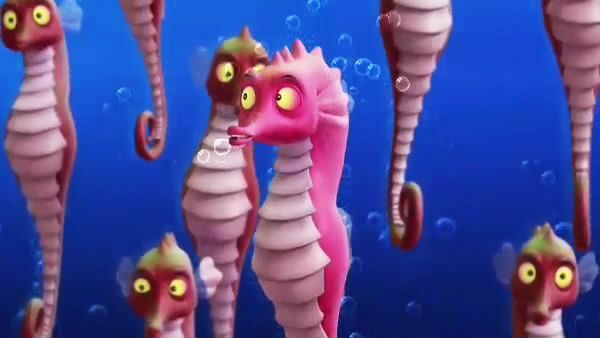 SVEN THE SEAHORSE: Swim, seahorses, swim! PLANK: Sven! MERMAID PRINCESS OONA: Mom! QUEEN EMMALINE: Oona! You're all right! You're all right! MERMAID PRINCESS OONA: Thanks to Sofia. PLANK: What? 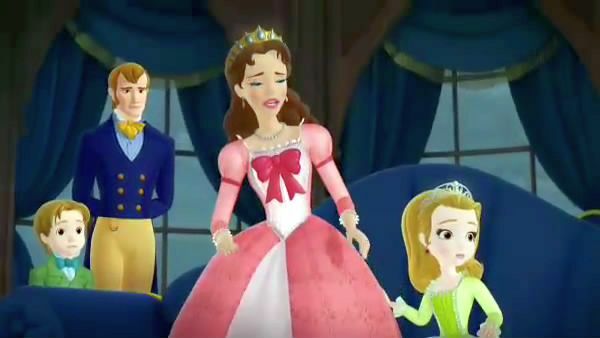 PRINCESS CORA: You were wrong about her, Plank. We all were. QUEEN EMMALINE: I'm sorry. I don't know what to say.